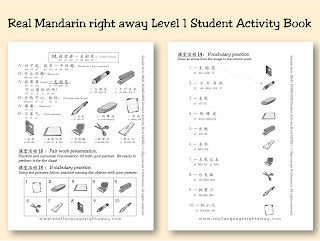 It's hard to believe that the drafts of the Real Mandarin right away curriculum are sitting on my kitchen table. 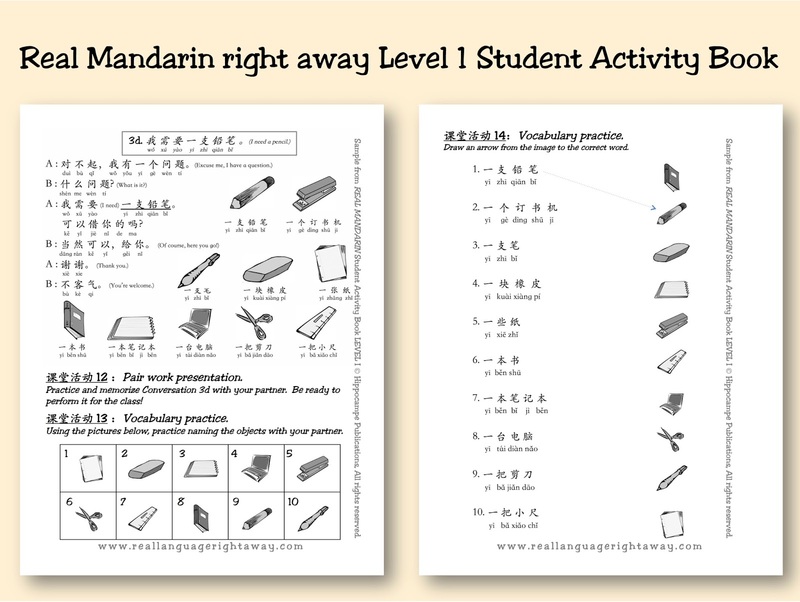 Since 2009, when we began writing our curriculum in French and Spanish, we have been asked on a number of occasions if we would ever be publishing the program in Mandarin Chinese. Denise and I would look at each other and think, how would we ever do that? It seemed like quite an undertaking, as we have very little knowledge of Mandarin Chinese. Last fall we received an email from Christina Chen, a Mandarin teacher at Deerpath Middle School in Lake Forest, Illinois. In talking with one of her French teaching colleagues, she came across our Real French tout de suite curriculum. When she saw the books, she said to herself, I want this curriculum in Chinese! So, after some emailing, we met for coffee and discussed the idea. She began by translating a couple of our stand-alone lessons on TpT, and we saw that they transferred easily into Mandarin. We decided to take the plunge and bring Christina on as our translator. The process of writing this set of books has been consuming but very rewarding. 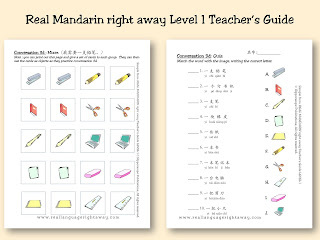 We based it on the Level 1 curriculum for Spanish and French, but we eliminated a couple of units, knowing that learning Mandarin is a more intensive process for English speakers. We wanted the Student Activity Book to flow in the same way that the Level 2 books do, so the conversations are integrated into the progression of the book. We included many more written and oral activities following each conversation. Essentially, the Teacher's Guide and Student Activity Book were completely transformed in the process, with a very satisfying result. And we couldn't have found a better translator than Christina; her attention to detail, understanding of the approach, and amazing dedication to the project have been tremendous. 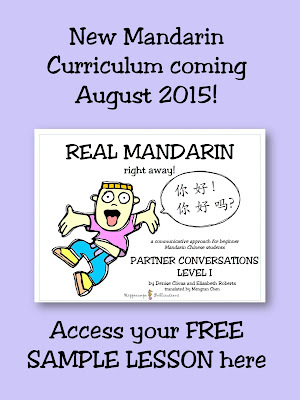 We are aiming to release Real Mandarin right away Level 1 sometime in August, along with a new and improved website. 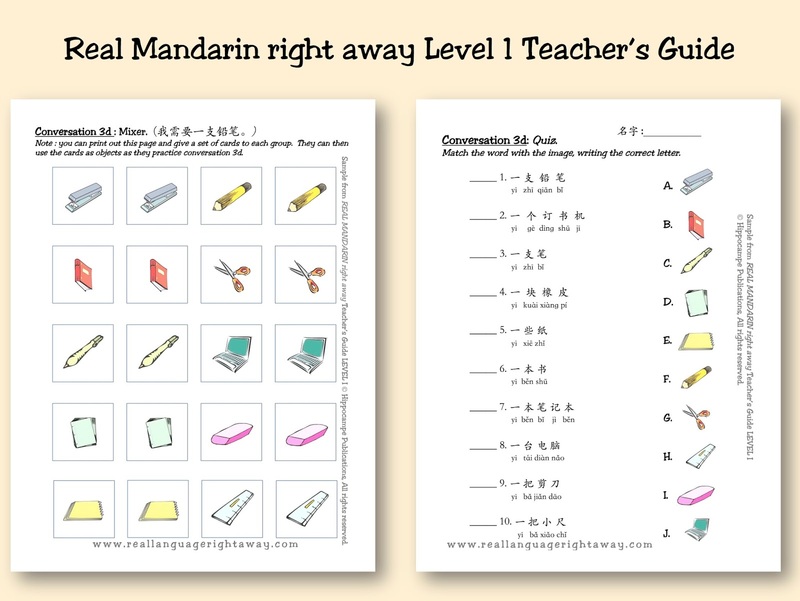 In the meantime, we leave you with this free sample lesson-- please share it with all of your Mandarin colleagues!